GIF maker for Live Photo Share your Live Photos to all channels as GIF or Movies. Bring your still photos to life with gif maker. Share your live memories with a single tap. iCloud photos are supported! 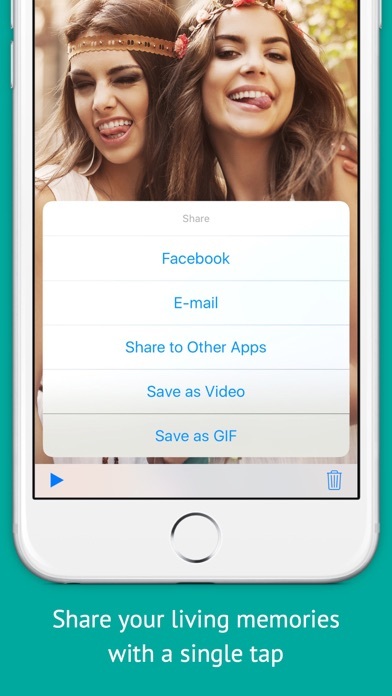 Share to Tumblr, Facebook, Instagram, Hangouts, E-mail and all other apps Save it as video or GIF. And shares video directly to Instagram!